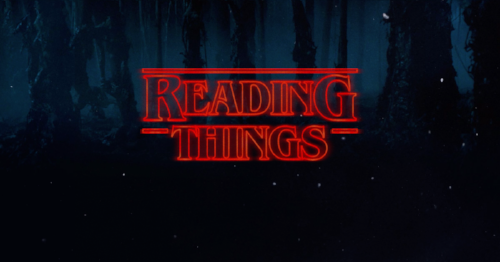 After a short hiatus, Reading Things is back! This week we're not only looking at some things I read this week, but taking a look back as well. Batman #29 - The War of Jokes and Riddles continues! This issue finds the Joker and the Riddler dining with Bruce Wayne. Wayne is offering to give one billion dollars (insert Dr. Evil photo here) to the villain he thinks has a better case for killing Batman. This will give them the resources they need to do the job. Obviously he is collecting information on them to defeat them both. This continues to be a great run, and if you haven't read it yet you need to get on it! Dark Nights Metal #1 - The anticipated comic has finally arrived. This issue finds the Justice League in a bit of a predicament. Once they manage to escape, things get truly weird. Not only is there a new mountain that has appeared in the middle of Gotham, they begin learning about an apparent dark universe, beyond the 52 they already knew about. Strangely enough, everything seems to be pointing back to the House of Wayne. As Batman attempts to find out what happens, he meets a strange visitor (more on that below). I can't wait to see where this goes! OK, from here forward there are going to be some spoilers for a few comics. Metal #1 and X-Men Blue #1, specifically. If you don't want to know what happens in these two issues, you should stop reading now. So what does this have to do with X-Men Blue? The surprise ending! If you haven't read X-Men Blue, it follows the "young" X-Men who have been pulled into our current timeline. They are battling the Hellfire Club, and at the end we meet their new benefactor...Magneto! I literally squealed when I got to this last page. Although we would continue to learn more about their uneasy trust of Magneto, this was an amazing way to end the issue. These are the sorts of moments that make comics great. Not only do we get great general stories, we get amazing surprises! I have to give kudos to both authors for these moments. They know how to keep us fascinated and coming back for more! If you've read either of these issues, how did you react? What are some other exciting last minute reveals that you've read? Leave your thoughts in the comments!